Perini Navi superyacht SEAHAWK receives ShowBoats Design Award 2014 – Superyachts News, Luxury Yachts, Charter & Yachts for Sale. The Holistic Design Award is awarded yearly to the yacht that represents “the finest example of a harmonious combination of interior and exterior design.” The jury of experts saw in mega yacht Seahawk a perfect synergy amongst spaces, functionality, practicality and innovation. This on top of her strong visual impact. Superyacht Seahawk has innovative hull lines and technological solutions to guarantee speed and performance under sail. These are combined with even more ample and comfortable interior volumes that make this first yacht in the new generation Perini Navi series truly unique. 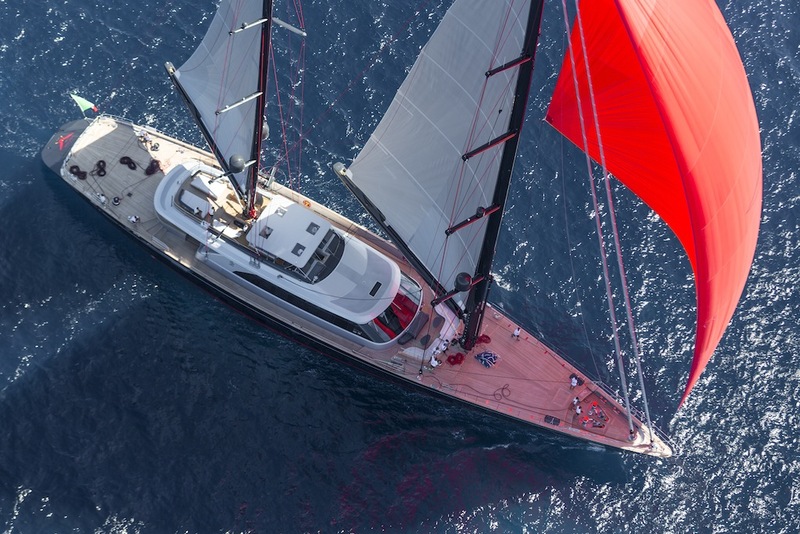 Amongst many other technological innovations, the yacht has new and improved furlers designed by the Perini Navi Mast department and new winches that are faster to manoeuvre and more powerful than ever. The interiors, penned by the French designer Christian Liaigre, have a refined contemporary allure with strong ties to maritime tradition. Luxury yacht Seahawk is also a finalist in the Sailing Yacht in 40m+ size range category at the ninth edition of the Boat International World Superyacht Awards that will be held in Amsterdam on May 3rd. Superyacht State of Grace, the first yacht in the new Perini 40 m Fast Cruising series is also a finalist, this time in the Sailing Yacht in 30m to 40m size range, at this prestigious event.